Honesty. Clarity. Dignity. 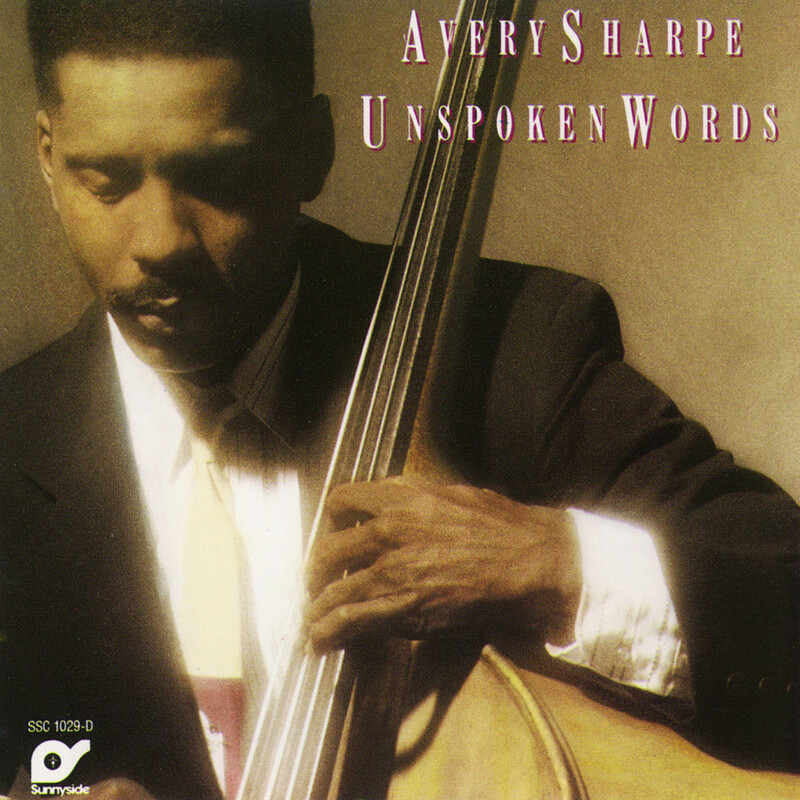 These are words that come to mind when you listen to the music of bassist-composer Avery Sharpe. In an age of ephemeral pop stars and flavor-of-the-month trends, Sharpe is a reminder of the lasting value of steadfast dedication and personal integrity. As the title of one of his tunes asserts, "Always Expect the Best of Yourself." Sharpe was born in Valdosta, Georgia, on August 23, 1954. His first instrument was the piano. "I started playing when I was eight years old," he recalls. "My mother was a piano player in the Church of God in Christ, and she gave lessons to everybody in the family — I'm the sixth of eight children — but it didn't stick until it got to me." He moved on to accordion and then switched to electric bass in high school. In 1972, Sharpe enrolled at the University of Massachusetts, where he majored in Economics and minored in music, and continued to play electric bass in gospel, funk, and rock groups. 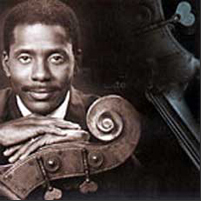 While at UMass, he met the jazz bassist Reggie Workman, who encouraged him to learn the acoustic bass. Sharpe adapted quickly to the big instrument, and within a few years he was performing with such notables as Archie Shepp and Art Blakey. Shepp and Max Roach, his professors at the time, had a major influence on him. Sharpe also performed in orchestra and chamber groups at UMASS, and completed one year of graduate school in Music Performance. In 1980, he auditioned with McCoy Tyner and won a spot in the pianist's group. He has worked with Tyner almost continuously since then, playing hundreds of live gigs and appearing on more than 20 records with him. Sharpe's credits also include sideman stints with many other jazz greats, from Dizzy Gillespie to Pat Metheny, as well as leading his own groups. His first recording as a leader was the 1988 album Unspoken Words on Sunnyside Records, which was praised by critic Jim Roberts as "a diverse, challenging record that rewards repeated listening." In 1994, he recorded Extended Family, the first CD of a trilogy that includes Extended Family II: Thoughts of My Ancestors (1995) and Extended Family III: Family Values (2001). All three were released on Sharpe's own label, JKNM Records. All of Sharpe' s recordings feature his distinctive original compositions, which draw from the full range of his musical background. "The most important thing is depth," he says. "You have to seek out what was happening before and try to understand it. In my music, I do things that are a little older as well as things that are contemporary. If I try to do just one type of music, that limits me. But the more bases I cover — the more experience I have in my life — the further I can go." He is equally adept at songs and longer compositional forms. In 1989, he wrote and conducted the soundtrack for the movie An Unremarkable Life; a decade later, his six-movement piece America's Promise debuted in a concert-hall performance that featured Sharpe's quintet and a gospel choir backed by the Springfield (Mass.) Symphony Orchestra. In the 1990's Sharpe was commisssioned by the Classical group Fideleo to write 3 extended works for them. Regardless of the setting, Avery Sharpe always brings both exceptional musical skill and unswerving honesty to the endeavor. "You can be sincere or you can be jive about what you do," he says. "People might not be able to tell at first, but if you're really sincere it will come through."